How to Perform CPR – It Could Save Someone’s Life - Best Panic Alarm! Knowing how to perform CPR can save lives. 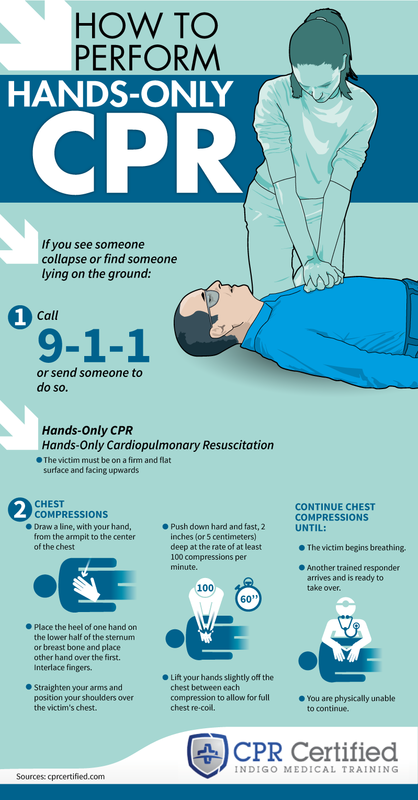 CPR, or cardiopulmonary resuscitation, is a lifesaving procedure that is performed if a person’s heart has stopped beating. In most cases, CPR should usually only be performed those who have been trained how to do it. To become CPR certified doesn’t take very long. You can learn how to do CPR online. If you want to learn CPR in a classroom the Red Cross has an online service that will locate CPR training courses near you. If you’d rather learn online, then CPR Certified offers some very good online CPR courses. Of course, you don’t have to be certified to administer CPR in an emergency. Even imperfectly administered CPR could save somebody’s life. It is important to know, though, that the way that you perform CPR for an adult is different the way that it is performed for a child or an infant. 1. Check the Scene and the Person. Before giving CPR to a person, check that the scene is safe. Then, try to find out if the person needs help by tapping them on the shoulder and asking them loudly if they are OK. If the person is unresponsive and it becomes obvious that they do need help, dial 911, or ask someone else to dial 911. Stay with the victim until help arrives. Lay the person on their back. Tilt their head back to lift their chin. Listen for sounds of breathing. If you cannot hear any signs of breathing, begin CPR. Place one hand on top of the other in the middle of the person’s chest. Using your body weight, administer compressions that are 2 inches deep. Repeat the compressions at a rate of 100 compressions per minute. If you want a guide to work with, the beat of the 1970s Bee Gees hit song “Stayin’ Alive” is approximately 100 beats to the minute. Important Reminder: This advice refers to CPR for adults, not CPR for infants and children. Tilt the person’s head back a bit, pinch the nose, and then place your mouth over the person’s mouth. Make sure that it makes a complete seal. Blow into the person’s mouth until you see the chest rise. Administer two rescue breaths, and then continue with the chest compressions. Administer rescue breaths after every 30 chest compressions. Important Reminder: Administering rescue breaths is not usually recommended for untrained members of the public. Maintain the cycle of chest compressions and rescue breaths until the person shows signs of life. Or, until a trained medical responder arrives on the scene. If you scroll down this page, you will find an infographic and a video that explains how to administer hands only CPR to an adult. Hands only CPR is the method usually recommend for members of the public dealing with an emergency. This method does not involve any mouth-to-mouth resuscitation. It is recommend that untrained members of the public do not attempt to administer rescue breaths. The main differences between administering CPR to adults, children, and infants is the pressure that is applied to the chest and how the rescue breaths are administered. If you’d like to see infographics and videos on how to perform full CPR for adults, CPR for children and CPR for infants, you’ll find them here on the CPR Certified website. Thanks for reading this how to perform CPR post. We hope that you have found it useful. We will be publishing more first aid tips and advice articles soon. If you think that this article might be useful for other people, please do share it on your social media accounts. By sharing it on Twitter, Facebook and Pinterest, more people may learn how to save lives. If you’d like to be updated with what’s new on Best Panic Alarm, please subscribe to our mailing list. Thanks again for visiting Best Panic Alarm. We hope to see you again soon. In the meantime, have a great and a safe day.